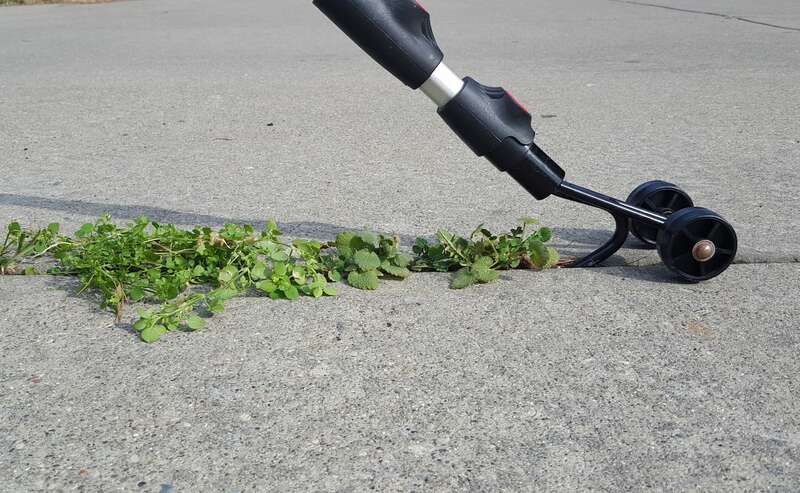 Remove those pesky weeds from driveways, sidewalks, patios, decks with this convenient chemical-free weed remover. It’s fully adjustable and requires no kneeling or bending over to pull weeds from the ground. This device rolls over the weeds in a crack and removes multiple weeds. So, now you can spend less time on trying to get the weeds out and more time doing the activities you love. To use, simply set it over a weed-infested area in the crevices or cracks. Using the same principle as a mop, begin to scrap the weeds away. When finished, sweep away with a broom. The best aspect of the chemical-free weed remover is that you are not kneeling over to pull out each individual weed. That definitely will save your back and knees. It has a single-button telescoping handle that is fully adjustable. It can be adjusted from 3 feet to 6 feet. That means that adults can use it as well as children. To adjust the handle, simply push the button to extend or retract and lock it at your desired length. Due to the fact that not all cracks and crevices are the same size, the weed chemical-free weed remover also comes with multiple weeding attachments. Simply push the button on the handle and swap from a wider driveway or sidewalk head to a more narrower patio or deck head. No chemicals are required to take out the weeds. All one needs to do is roll over the weeds and the weed remover’s blade will pull up the weeds. It’s backed by a lifetime guarantee so one should feel as confident about the product as the inventors do. Gardening and weeding is often tough. Not only do you have to bend or kneel over, it also takes a lot of time pulling out each individual weed. Having a tool that allows you to stand upright with good posture while pulling out multiple weeds at the same time is a no brainer for any gardener or homeowner. Having a party at your house? 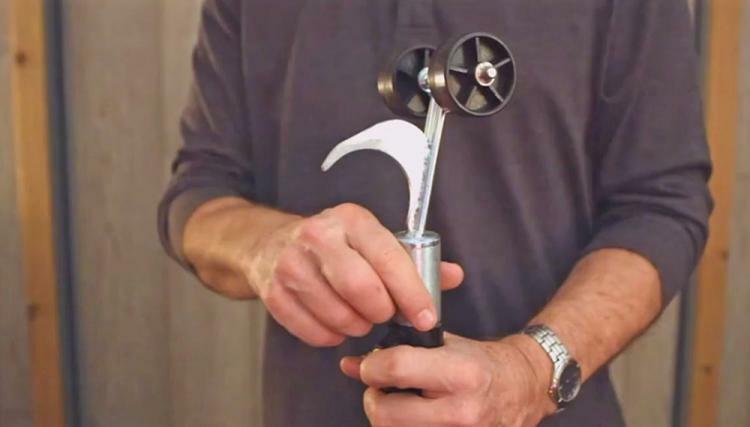 This tool can quickly help you take out the weeds in your driveway so you won’t be embarrassed when guests arrive.